We know consumers are looking for unique and interesting gifts for the tech-lover in their lives so we partnered with Rail Yard Studios to offer hand-made pieces they can't find anywhere else," said Scott Naylor, VP of Product Development at Griffin Technology. 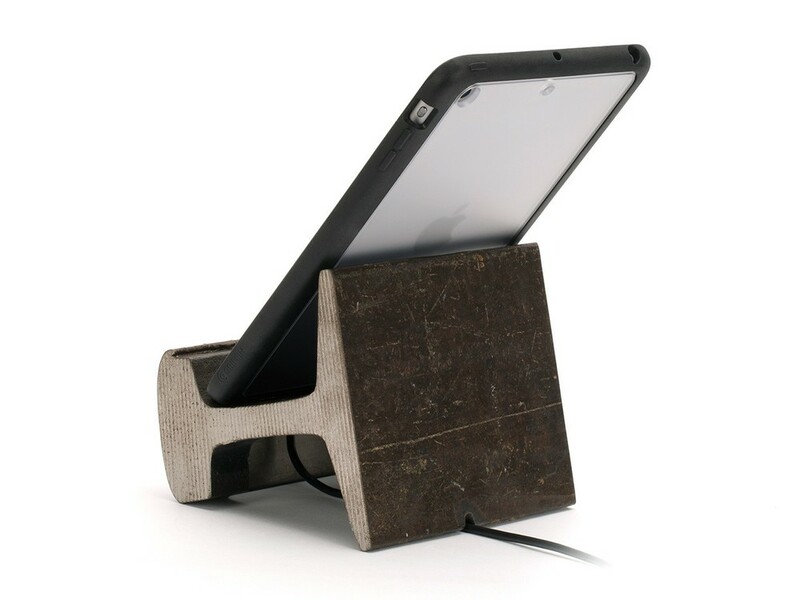 "These rare tablet stands are American-made and the perfect way to preserve a piece of history in the digital age. Each piece bears the original manufacturers' markings including the natural patina, wear and tear from over a century of use. To preserve the original wear and look of every one of these pieces of railroad history, Rail Yard Studios has applied three coats of low-gloss polyurethane coating to help preserve details such as rust and other imperfections. 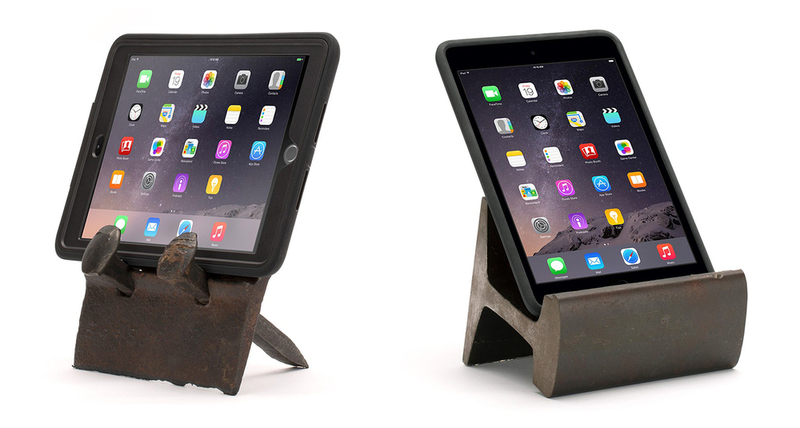 Though that isn't going to be enough to keep your tablet from scratching against the industrial steel, which is why Griffin is considerate enough to include a free protective tablet case of your choosing including its most expensive $80 Survivor and Survivor Slim cases for the iPad Air 2, iPad mini 3 and Samsung Galaxy Tab 4 10.1.